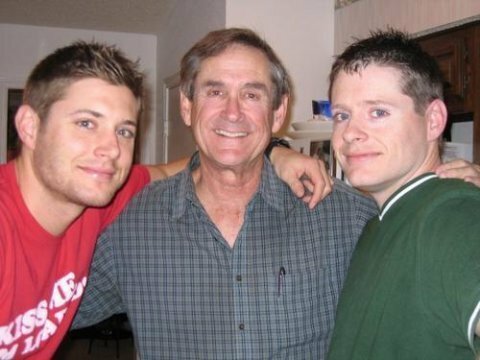 JENSEN ACKLES+ ALAN ACKLES(FATHER)+JOSH ACKLES(BROTHER). JENSEN+ ALAN ACKLES( FATHER) + JOSH ACKLES(BROTHER). Wallpaper and background images in the jensen ackles club. Wow, Josh and Jensen look a lot alike! And they both have their dad's smile. thkx to both of their parents for making such a great kids!! thx for making JENSEN ACKLES..! His brother looks just like him!!!! Adorable aren't they?? ?